I was reading an interesting forum thread recently about accents. The gist of the thread was that so many singers lose their accents when they sing. Somehow vocals mostly sound American, at least to my ethnocentric ears. Unless they're singing traditional music, when it's okay to sound Irish or Scottish. Or even Southern, if they absolutely must. Which makes me wonder why it is that every country singer has to sound Southern, and why it bothers me so much when they do. And yet while that makes me crazy about country, and not the good kind of crazy, doesn't bother me at all when it transmogrifies into bluegrass. Am I being irrational Or is it just when it's done this well that the good outweighs the bad so much that I can't complain? And believe me, I've tried. Lord, how I've tried. From faux country to the real thing. It takes about three seconds to typecast Kelly Willis as country. But what surprised me is that I listened to a lot more than those three seconds. There's something more going on here. Maybe you can figure out what it is. Me, I'm just surprised to be listening to country and not hating it. Maybe even liking it a little. Okay, a lot. But don't tell anybody; I have a reputation to uphold. I'm torn. On the one hand, we're talkin' country, and we all know how I feel about country. But on the other, we're talkin' smartass. I mean, how can you not love a guy who'll do a cover of Cher? And that's hardly the end of his transgressions against music. Okay, maybe I'm not as torn as all that. Here we have another find example of country music for those of us who insist we don't like country music. You likely remember Mindy Smith for her toned down cover of Dolly Parton's hit Jolene, which appeared on 2004's One Moment More. Now she's back with a genre-bending collection of not quite country, not quite folk. As a former almost-Long Islander (well, geologically I qualify; Queens is part of Long Island), I approve. Is there a sadder sound in the world, could there be a sadder sound, than the Man In Black, mourning the lost love of his life and near death himself, croaking out Gordon Lightfoot's sweet but undramatic If You Could Read My Mind? Perhaps mortality is too much on my mind; a visit to my own aged parents has that effect. But hearing someone so strong, so confident and so eternal trying to create music when he is no longer strong, or eternal (I can't speak to his confidence, although I have my thoughts), it's hard not to mourn and to grieve and to wonder about our own confidence. Perhaps that was the idea. Kenny Rogers, he's number three. In my last installment I wondered who'd be the next performer to jump on the old standards bandwagon. 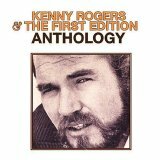 But it wasn't Boy George; it was Kenny Rogers, with an album of (and called) Love Songs. Which shouldn't be much of a surprise; I mean he wasn't always singing those maudlin country songs about the faithless Lucille, the even more reprehensible Ruby or that philosophical card player. No, once upon a time he was competition for Strawberry Alarm Clock, with his mildly psychedelic Just Dropped In (To See What Condition My Condition Was In). Which might make one wonder if it's the drugs in the 60s that necessitated the move to Country in the 70s. Brain damage'll do that, I hear. I don't often have a reason to get political here; when the mood takes me I have my other blog for that. And it's almost as rare when I have something positive to say about country music. Not that I have anything against the music, its performers or fans; it's just not my thing. But I have to give credit to the Dixie Chicks. Not just for their music, or for having the courage to stand up and say what even diehard conservatives are finally admitting about the President, back at a point that people were using words like traitor to anybody who dared question him. Especially country music fans, who as a group don't have the most liberal reputation. Anyway, I'm enjoying the Chicks' new release, both as a song and as a response to those who, even if they're willing to forgive and forget, haven't yet figured out that the Chicks aren't the one who should be seeking forgiveness. Not very Christian to avoid turning the other check, I suppose. Then again, I'm not very Christian either. As much as I admire Norah Jones as a performer, I find a little of her goes a long way. 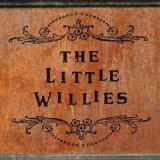 Which is why I was surprised by The Little Willies, an album that she and four friends made from their performances at a club in New York called the Living Room. Jones manages not to stand out quite so much, here among the bluesy country songs. Wait, that's not right either; she's still up front, and she's just as distinctive. Maybe it's the greater variety that makes the difference: sometimes she's lead, sometimes not. Or maybe her voice takes on a different timbre when she's in a country frame of mind. Whatever the reason, I find myself liking The Willies. 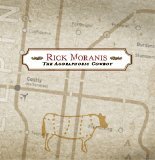 A friend pointed me at Rick Moranis's website, called, straightforwardly enough, RickMoranis.com. Rick has an album. (Well, of course he does; if he didn't, I wouldn't be writing about it.) 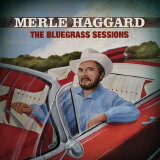 And it's sort of a Country album, or a least it would be, if country fans had a sense of humor. (Which they may have, the evidence of Hee Haw notwithstanding.) Mr. Moranis does particularly well with a takeoff on the Man In Black's I've Been Everywhere, which got used recently for some motel chain or other. Rick's version is called I Ain't Goin' Nowhere, and is more relatable to the sort of person who spends all his time online, rather than on the road. Not that we know anybody like that. I first heard Rosanne Cash way back in 1981, when her crossover hit Seven Year Ache started getting major airplay on the pop stations I listened to back then. Ache is the kind of song that grabs your attention and then holds on, with a rhythm and a musical line that never deviate and yet somehow build in intensity. 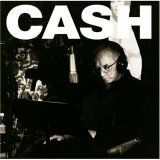 But after such an auspicious entry into pop, Ms. Cash returned to her roots. And as those roots are in the terra incognita (to me at least) of country, I lost interest. The recent passing of her father, mother and stepmother inspired this latest work. 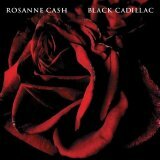 As we might have guessed from that inspiration, Black Cadillac is poetic, contemplative and not exactly upbeat. And yet it's not a downer either; in loss she finds comfort and understanding, honoring those she's lost while ackowledging both the good and the bad in their humanity. I particularly like God Is In the Roses, which in its calm and gentle center tries to find balance in the universe. Without dwelling on it, it betrays a different kind of ache from Ache. One of the unexpected pleasures of my first visit to Australia was getting a dose of Aussie folk music. My tour drivers liked to put on a tape on the way back into town after a hard day wandering the countryside. And what I liked best was how different it was from the American version, in both pacing and choice of subject. I found a great collection of songs before returning home, which I've listened to many times since. 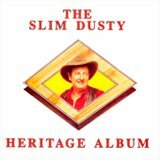 Which is how I encountered Slim Dusty, who performed several classic tracks on that album. His version of The Man From Snowy River is stirring stuff. And his rendition of Namatjira, about a famous aboriginal painter, is fascinating both for its paternalistic attitude and for the strangeness (to me, at any rate) of an artist being the subject of a traditional song. It's stuff like that that reminds me, if I ever need it, that it isn't just with the Brits that we're separated by a common language. I mention the preceding because I felt a rant about the iTMS's categorization coming on. Or maybe about my feelings about country music. But I have a feeling that Real Woman got placed under Country by mistake. 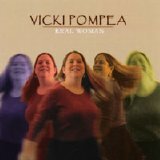 It really belongs in Folk; both Ms. Pompea's voice and her material clearly fit that tradition. Except on the title track, which to my ear is more Jazz. In any event, if you prefer clear, pure solo vocals and a leisurely pace to your music, you might find something to like here, whatever bucket you'd use to describe it. Let me start by saying that I'm not a fan of country music. No, let's be honest: a few seconds of most country songs has me reaching for the off switch. This is not my kind of music at all. Which is why I find it amusing to be recommending this collection of Reba McEntire's hits. Granted, I find Reba more accessible than most country artists. And there's the babe factor to be considered, and a redheaded babe at that. To say nothing of her comic chops, both on her mediocre WB sitcom (watchable when she's onscreen and often painful when she isn't) and on Broadway, where she was brilliant as Annie Oakley in Annie, Get Your Gun. Suffice it to say that I'm willing to give Reba the singer a chance because of Reba the performer. And you know, she's not nearly as agonizing as I expected. Okay, let's be honest: she has a great voice and a great way with her material. But I still stand by my dislike of country music. Just, I guess, not all country music. I thought I was so smart at 25. Thought I knew it all, especially when it came to American culture. If I didn't know it, it clearly wasn't worth knowing. 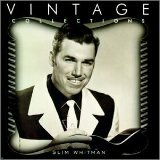 Which may explain my shock when at that age I found myself on an extended trip to London and encountered nightly television commercials for records by some weird guy named Slim Whitman. First, I wasn't ready for the idea that the Brits, the people who'd given us Shakespeare and Sherlock Holmes and Doctor Who? and Monty Python, might like country music. Even worse, what was the deal with this dude's yodeling? What was that all about? That the ads described Whitman as a big star in the UK confused and horrified me even more. Warm beer I could learn to like. But country music? With yodeling? Never! The highest praise I can offer Flowered Vine is that I didn't have it pegged as Country within the first three seconds. 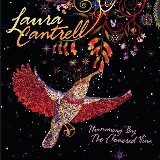 First I was caught up in the sweetness of Ms. Cantrell's voice on 14th Street. Then I skipped over to the gentle And Still. And by the time it dawned on me that I was listening to a Country album I'd already put my prejudice on hold. If I liked Country, this is the kind I'd like. 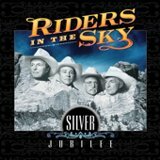 I mentioned Riders in the Sky in my last entry as an object lesson in not judging a book by its cover or being more selective in your prejudices or something. But they're worth a mention for themselves. Riders are talented musicians and very funny besides. 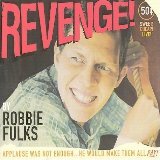 And this album marks twenty-five years of performance, with a combination of classic western themes that even I know, like Back in the Saddle Again and Ghost Riders in the Sky; comedy bits like The Salting of the Slug and That's How the Yodel Was Born, a painful ditty I once used to prove to a disbelieving Brit that we Americans do have a sense of humor; and the more recent and popular Woody's Roundup from Toy Story 2. It's a chance to see if you agree with my Dallas friend that cowboy music is a genre all its own, one that's fun to explore. Skimming through the iTMS, I have one prejudice I honor and one I test. The one I accept without question is to reject any album that's labeled Inspirational. I'm not religious in the faith of my parents; what I think of as Jewish music appeals to me because of its cultural referents and not its messages. Which in any event are likely to be in Hebrew, a language I don't understand. Religious messages, whether sung or otherwise, are not of interest to me. Which should not be read as a lack of respect for anybody who feels otherwise. My second prejudice is against anything that falls under Country. But that's the one I verify with each new album. Generally it takes about five seconds of twangy guitar to confirm that an album isn't my taste. This is a rare exception. I'd never heard of Jessica Rogers. And judging by a quick Googling, neither has anybody else. This is her first album, which her own site describes as Adult Contemporary, Easy Listening or Country Crossover. But what I hear is more interesting that that. There's traces of 60s bubblegum pop, of Sonny & Cher in Ms. Rogers' arrangements. And a maturity and world weary quality to her voice to which I can relate. I get the feeling music is the latest act in a story that's had more than a few. Can't wait to see how it all turns out. Aren't most of us influenced by the taste of those around us? Or is that just me? Bismarck was only one of many "story" songs Horton recorded. The Battle of New Orleans is probably the best known, although I discovered it only after encountering Homer & Jethro's parody version. Horton deserves to be better remembered than he is. He's certainly a more interesting way to get into history than some dusty old textbook. Years ago when I lived in Los Angeles, I'd spend many an evening in yuppie bars drinking margaritas and gin & tonics and generally doing things to my body that it won't let me do any more. One night a friend insisted we go to a bar he'd discovered on Wilshire Boulvard in Santa Monica where they performed arias from opera. What was funny was that he didn't even like opera; he was just fascinated by the idea of a bar that featured it. So we went. And the bar was good. And they took a break from the opera for their special song of the evening: a little number by Tom Lehrer called I Hold Your Hand In Mine. Which is a particular favorite of mine. So the whole opera bar thing turned out to be a success. But that's not the point of the story. The point is that a while back I was watching 60 Minutes. 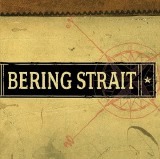 And they had a report on this country band called Bering Strait. And what was special about them is that they're all Russian. And now they're in America, doing their country music. And even though I don't much like country music, I bought their album. Because the idea of a Russian country band was enough to make up for the fact that they're a country band. Besides, these folks can sing. It's not like that Leningrad Cowboys1 CD I bought. There's no excuse for that one. Who are neither cowboys nor from Leningrad. Which is neither here nor there, but I just thought I'd mention it. Is a puzzlement, as Yul Brynner's King of Siam was wont to say. What do you do when you find the perfect voice, but have no interest in the material that voice chooses to record? That's the problem I have with Alison Krauss. When she sings It Doesn't Matter on an episode of Buffy, it's a moment of rare beauty among the mayhem and teenaged angst. And her covers of Now That I've Found You, Just When I Needed You Most and Whenever I Call You Friend (all sadly unavailable on the Music Store) have a warmth and a sweetness never imagined by the original artists. 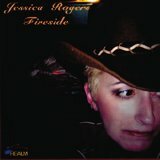 But these are rare finds amongst the fiddle & banjo laden performances that fill her albums. 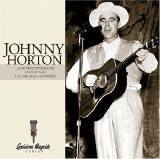 What I wouldn't give for a collection with a lot less country and more of that singular voice. So Wrong, indeed.